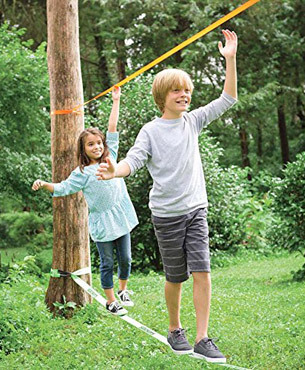 The Classic Wave Walker line is designed mainly for beginners to this wonderful activity – the kids love it, but even parents and grandparents will enjoy it for sure. 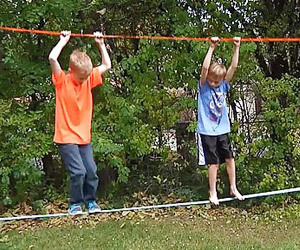 It also includes a teaching line which you stretch above the main one and use it as a guide to assist with balance (see the pictures) – it comes really handy when your kids just want to play, but aren’t able to walk the line on their own yet. 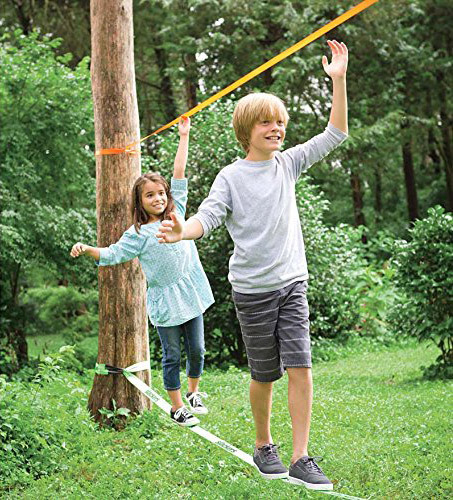 On the other hand, the help line that is included with the Play Line from Slackline Industries is better for methodical learning as it also teaches the right slacklining posture with elevated arms. However, you can just add a little strap of your own and achieve the same results. 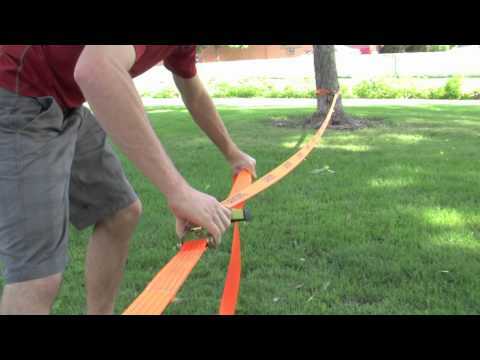 As other slackline kits for beginners, this one also uses the popular two part setup system, so it’s very easy to install. You just wrap both parts around the trees, join them using a ratchet and tighten as you like – plus install the help line at the right height, all of that can be done in 10 minutes. The only problem is that the instructions are poorly printed and the pictures are not clear enough – so if run into any trouble, just take a look at the video below. Also, we would recommend you to use tree protection for the main line – to protect both the trees and your equipment as well. It seems there is a little mess considering the colors – you can’t pick your preferred color as both have the same UPC number from the vendor and they can’t be differentiated in the warehouse. Nevertheless, both of them looks nice so it’s not a big problem. Also, it comes with a simple storage bag. 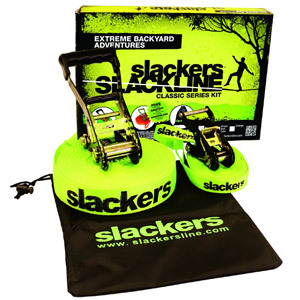 Conclusion: The Classic set from Slackers is a great starting line for all kids or beginners – safe and easy to walk on thanks to the teaching line. 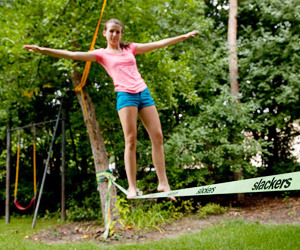 However, for teenagers and adults who want to start slacklining, we would recommend considering also the Baseline from Slackline Industries. 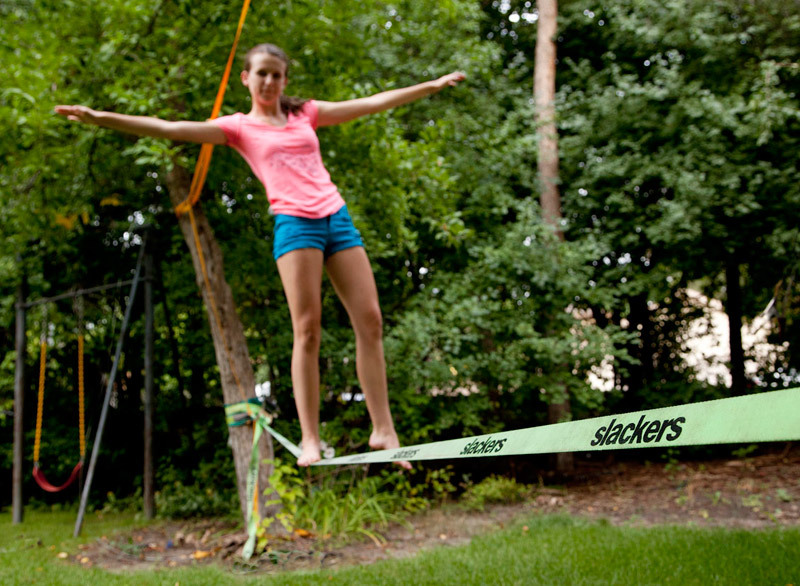 It is great for learning as well, but better for tricks and jumps and you can even select your preferred length. 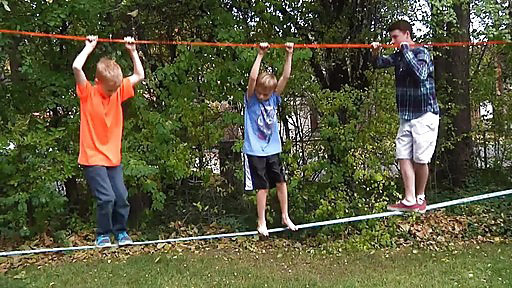 Which line is the best for kids? 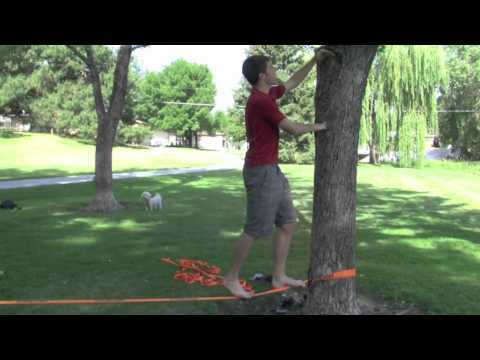 How to walk a slackline? How to set it up if there are no trees?